Pure Spa Direct Blog: Yes, We Do Have Organic Wax! Have your clients been asking about more organic and natural treatment options? L'ORBETTE 14 oz. 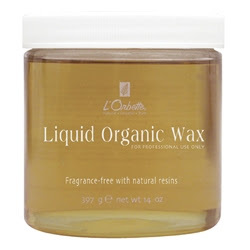 Liquid Organic Wax is a naturally light and thin wax derived from natural resins and purified alcohols. Do you have clients with sensitive skin who also want an organic wax treatment? 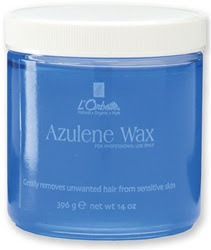 We've got you covered with L'ORBETTE Azulene Organic Wax / 14 oz. This great product soothes the skin and reduces redness. Gently and effectively removes unwanted hair. Fragrance-free.